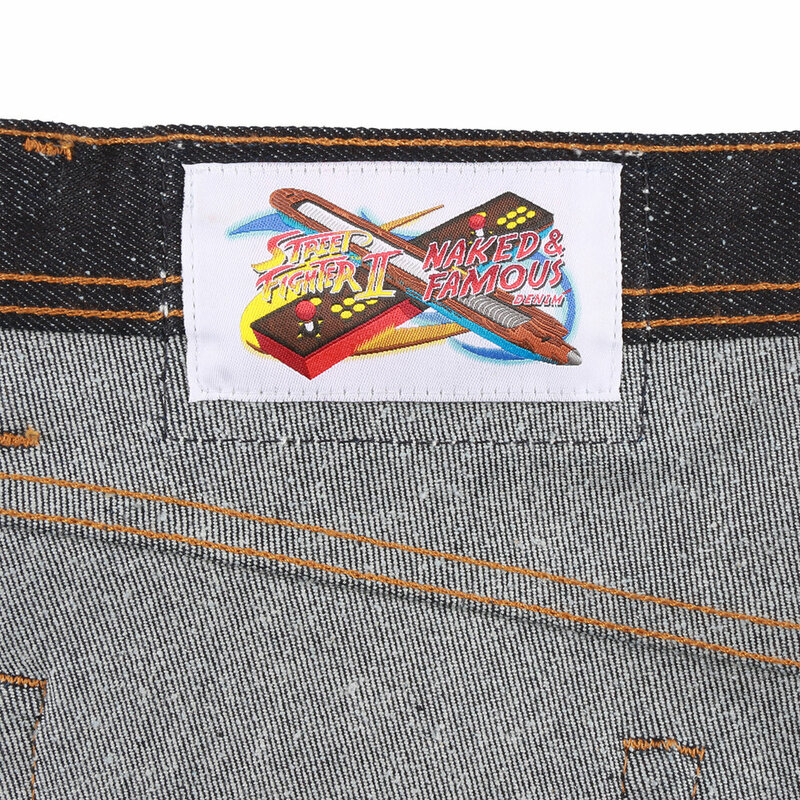 The Street Fighter™ 2 x Naked & Famous Denim: Chun Li Silk Lightning Leg Denim are made using a custom developed 12oz Japanese denim made using a blend of cotton and Chinese Silk to symbolize Chun Li’s Chinese roots. This denim has a neppy surface and also contains stretch for added comfort and mobility signifying Chun Li’s extraordinary flexibility. Chun Li’s wrist cuffs are embroidered on the back pocket. 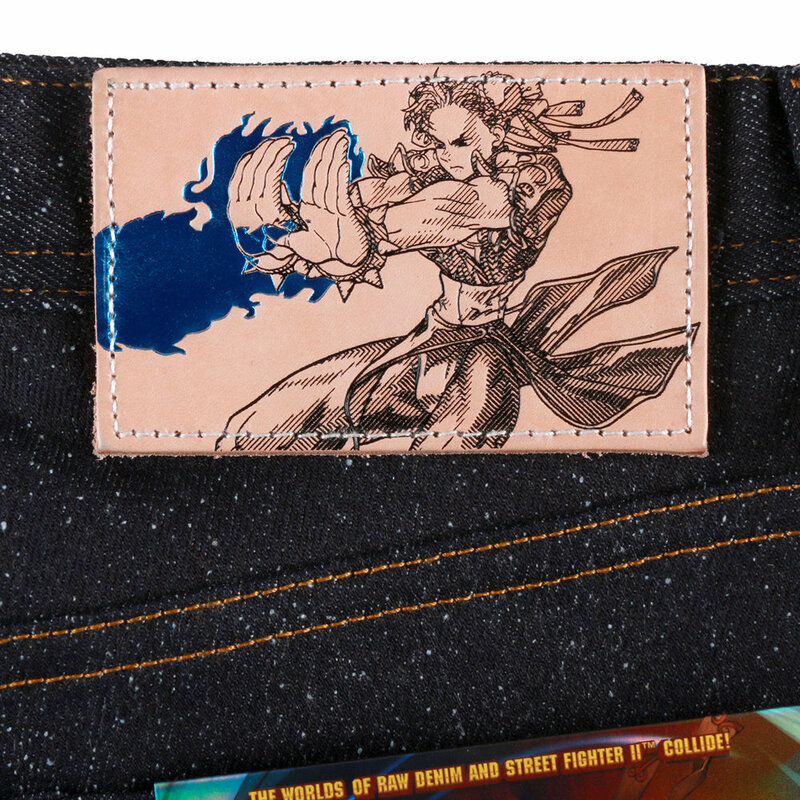 A natural vegetable tan leather patch is used, and features a highly detailed embossed illustration of Chun Li performing her trademark “Kikoken” projectile stamped in blue metallic foil. 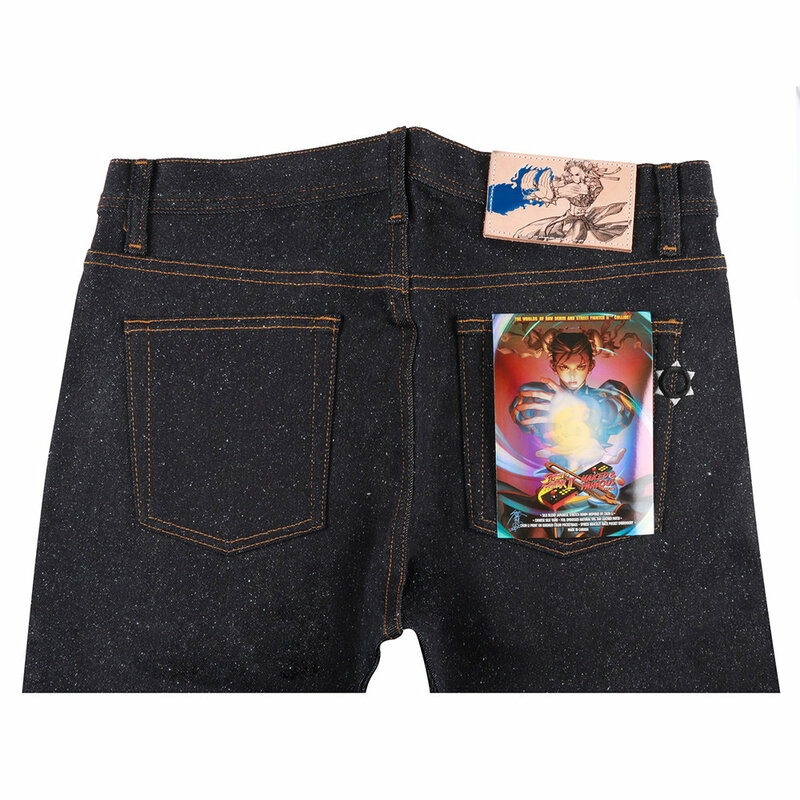 Hidden inside the jeans are fun details like blue pocket bags printed with Chun Li’s portrait. Also included is a holofoil pocket flasher featuring eye-catching artwork from Udon Comics.